Each year a growing number of immigrants apply for work permits in Canada. This allows them to relocate based on anticipated or established employment, but Canadian employers must also meet certain requirements when hiring foreign workers. In most cases, employers must obtain a Labour Market Impact Assessment (LMIA) in order for individuals to apply for a work permit. Understanding what an LMIA is, along with the application process, will prevent any unwanted issues and increase the efficiency of your application. The Labour Market Impact Assessment (LMIA) establishes a need to hire a foreign employee because there are no Canadian workers available to perform the duties required by the job. 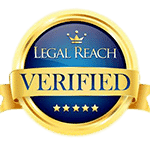 Canadian employers must obtain this document in order to hire foreign workers. They can do so by contacting Employment and Social Development Canada (ESDC) and requesting the details for the application process. 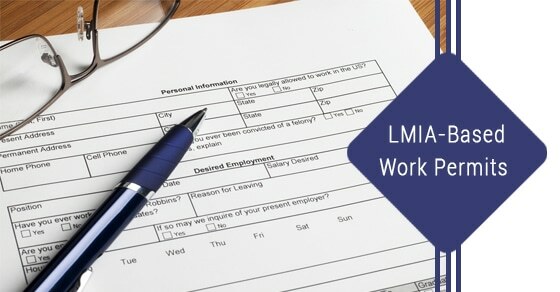 The LMIA can apply to an individual worker or job position, as well as to multiple workers for a given occupation. The Temporary Foreign worker program is what allows employers to hire foreign workers so that they can obtain a work permit in Canada. Foreign workers who are hired by Canadian employers can obtain the status of temporary foreign workers. Once a labor market impact assessment has been provided, the workers can then obtain their work permit by applying through the foreign worker program. It’s important to understand that a work permit does not allow you to live in Canada on a permanent basis. 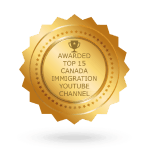 In order to do so, you would need to first qualify as a permanent resident under an immigration category. Worker permit applicants must meet a number of requirements. Applying for a work permit is usually done outside of Canada. But in some cases, workers can apply upon entering the country, or within Canada. 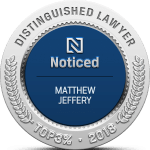 Spouses and common-law partners of foreign workers can obtain their own open work permits as long as their spouse or partner is working in a skilled occupation. A spousal open work permit will allow the spouse or partner to work in any job they can find in the Canadian labour market. You can apply for a work permit online or through the mail. To apply online, you’ll need access to a scanner in order to make copies of your documents to upload. You’ll also need a credit card to process the application payment. Along with the LMIA, you’ll need proof of your work experience and education history. You’ll also need to provide your Electronic Travel Authorization or visa, which are typically issued alongside your work permit in order to enter Canada. Employers and workers must ensure that they have met all of the requirements and have obtained the proper documentation in order to complete the application process.